When an anime distributor has a clearance sale, you can pick up some choice bargains. I have in the past picked up whole series for peanuts, shows that would make your wallet bleed if bought even at the usual retailer discount prices. But sometimes, distributors have clearance sales for other, more practical reasons. I knew when I picked up the Maburaho Collection from Madman Entertainment for less than £10 that I was taking a chance, and it turns out that this is one show that you would choose to shift if you need room on your warehouse shelf. It’s a magical romantic harem comedy, where the protagonist has the kind of genes that girls lust after, but whose magical talents are limited in comparison to everyone else. It’s a show that wants to be both Love Hina and Negima, but turns out to be a pale shadow of both. Next it was the turn of Prison School – Collector’s Edition. This is the show you’re looking for if you need sado-masochistic fan service. Five boys start attending an all girls’ school, with the added hope that despite their social inadequacies they might actually talk to actual girls. Of course things go wrong when they are overeager, but they actually get a choice between expulsion or on campus incarceration. They choose one month behind bars at the whim of a trio of dominatrixes. But it turns out that masochism doesn’t have lasting appeal, especially when these three girls are hell-bent on getting the boys kicked out of school for good. Prison School is most certainly a Marmite show. Click on the review to see just why. A little something unusual next, with Belladonna of Sadness – Collector’s Edition. If you’re more attuned to anime as a contemporary thing, you might think twice about this feature film, but it definitely shouldn’t be overlooked if you have even a passing interest in the history of anime. It’s the last film that Osamu Tezuka’s Mushi Studios made, and is very much an adult animation, following the life of a woman in the mediaeval world. A brief moment of marital happiness is shattered by the brutal ‘tax’ exacted by the local Baron, and her attempts to gain some semblance of power and control over her life, only lead her to be branded a witch. Not for the faint hearted, and unlike any anime you’ll have seen, Belladonna of Sadness is an essential milestone in anime history. It’s back to conventional anime when it comes to the final review of the week, or as conventional as it can get given a 3D CG toon-shaded anime. God Eater: Volume 1 takes place in a post-apocalyptic future world where giant beasts hunt and devour the few remaining members of humanity. Some communities still shelter behind fortress walls, protected by the God Eaters, warriors genetically bonded to their fantastic weaponry, alone able to defeat the monsters. If you’ve been put in mind of Attack on Titan, then you’re not alone, as I was too. But God Eater’s futuristic sci-fi setting does just about enough to give it its own identity. Click on the review to read more. Madman Entertainment released Maburaho Collection on DVD back in 2007. It’s probably sold out now, and you can consider that a bullet dodged. 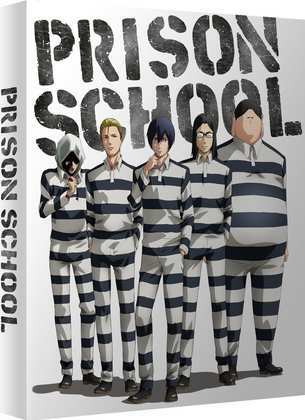 All the Anime released Prison School – Collector’s Edition on Blu-ray on June 12th. There is no DVD. There is also no DVD for Belladonna of Sadness, which got its Blu-ray release from All the Anime on June 26th. 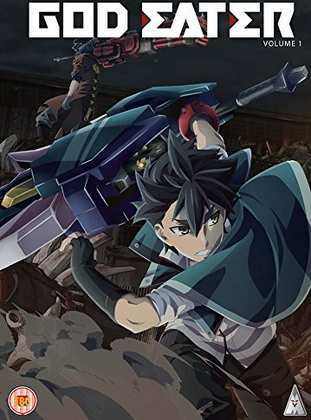 MVM release God Eater Part 1 on Blu-ray and on DVD on July 17th.